The key factor in the durability of any floor markings is the preparation undertaken prior to laying the paint. The adage ‘failing to prepare is preparing to fail’ takes on a literal meaning here. Vacuum shot blasting is the process of firing tiny metal beads at the floors surface. This removes any power float or surface contamination from the area to be painted and leaves an open surface that the paint can adhere to. As the name suggests, the shot blasting unit is connected to a large vacuum which collects all the dust & debris produced by the process. Once the area has been prepared, we then go over it with a magnetic roller to ensure all the metal beads have been removed before painting. This means that vacuum shot blasting is not a messy process and can even be undertaken in food processing areas. Owing to the durability it offers, a large percentage of the projects we install are vacuum shot blasted. Lines prepared in this way have a much longer lifespan than markings that are laid over an unprepared surface or lines that have been prepared using other methods such as scrabbling of grinding, this is because vacuum shot blasting evenly prepares the whole of the area to be painted whereas scrabbling and grinding can be very sporadic meaning not all of the area to be painted has been prepared. 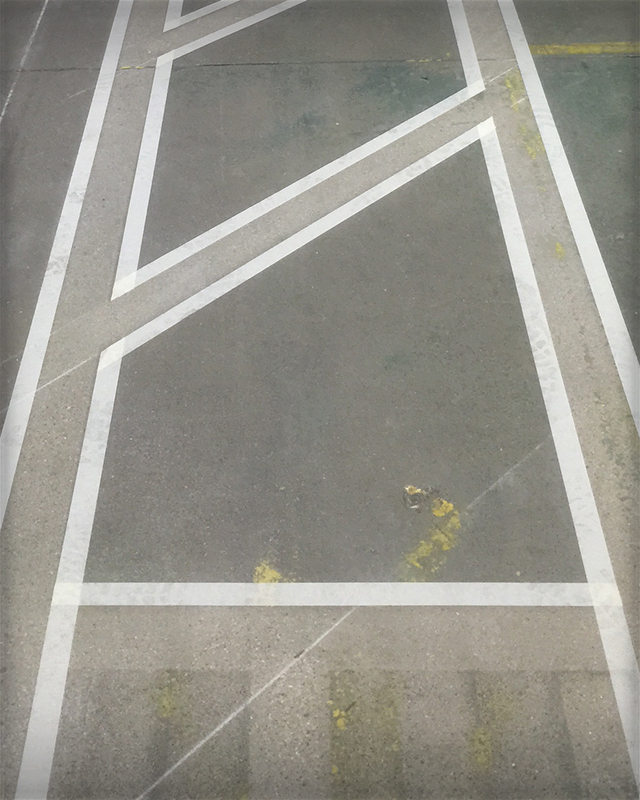 We appreciate that installing or upgrading your floor markings can cause disruption to the running of your warehouse, particularly in operations that are 24/7, ensuring the durability of the markings by correctly preparing the surface prior to painting means time, cost & disruption can be saved in the future by not having to continually touch up faded lines. Contact us today and arrange for a representative to visit your site and discuss how we can improve the durability of your floor markings.